Located 2.5 hours north of Sydney. Well-established wine area with a speckling of good quality golf courses, excellent restaurants, and quality accommodation. Newscastle is the stand out course with other good courses including The Vintage, Pacific Dunes, Horizons and Cypress Lakes. 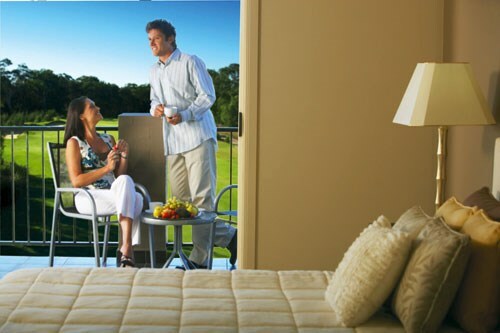 Enjoy a wonderful 5 nights in the Hunter Valley while playing the best golf courses in the Hunter Valley and Newcastle region, as well as sampling some world class food and wine right on your doorstep. 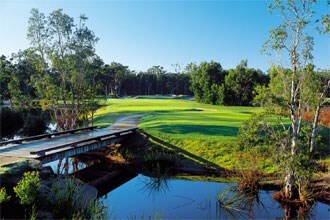 Cypress Lakes 18-hole championship golf course is ranked among the top resort courses in Australia. Unveiled in 1992, it was designed by Steve Smyers of Florida. The front nine is tree lined with sloping fairways and the back nine is a links style layout. Not to mention, over 60 huge bunkers and dramatically shaped and elevated greens. As well as each tee and green having stunning panoramic views of the valleys famous vineyards and surrounding mountains. 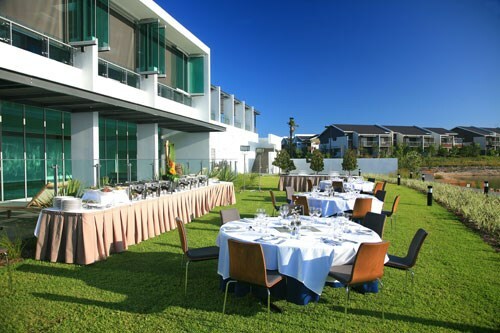 Cypress Lakes Resort is located in Pokolbin, Hunter Valley. Built in the highest hills in the lower Hunter Valley, with spectacular views over the surrounding vineyards. 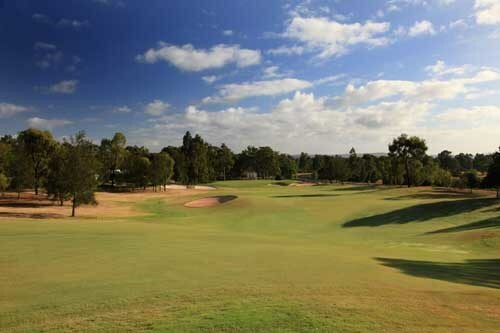 It's centrepiece is the magnificent Cypress Lakes golf course, an 18 hole, par 72 Championship course (6359 metres). 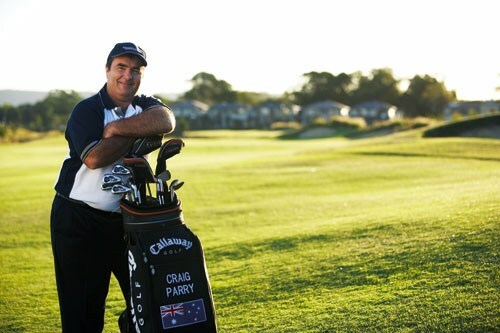 Designed by American golf course designer Steve Smyers in conjunction with Australian Golfing legend Bob Stanton. 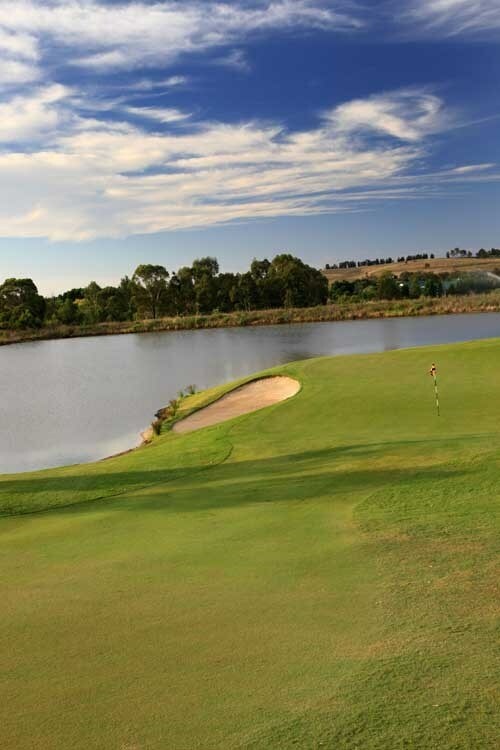 The course boasts distinct styles, with the first nine holes built around the hills and valleys overlooking surrounding vineyards and the second nine holes are built on lower plains in the traditional links style. 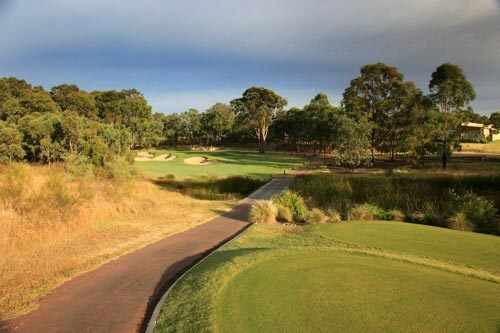 Completed in 1992, Cypress Lakes has one of Australia's longest par five holes (573 metres) a unique dual fairway hole and one of the only holes in Australia where you have to tee off straight over a vineyard. A challenging tee shot over water. Right hand side of the fairway i s the ideal position from which to play the approach shot. Club selection on the approach is vital. Better to play for the back of the green otherwise your ball could roll back down the slope. Elevated tee shot to a sloping green. The tee shot is best to be played to the left hand side of the green. This hole tends to play a little shorter than the distance suggests. A long hole by any golfers standard. Tee shot is to be played to the right hand side of the fairway. Watch the cross bunkers on your second shot. This is a long and undulating green. Caution is to be taken on your putts. A well planned tee shot makes this hole a lot easier. Choose the high or the low road but watch the bunkers. The green is relatively small and there is a water hazard on the right of the green. The tee shot is best played to the right hand side of the fairway making the approach a little easier. The green on this hole slopes from back to front. Very important that your second shot finishes beneath the hole to make putting a little easier. The tee shot on this hole should be carefully positioned. For the long hitter a three wood or one, iron may be a wise decision. Do not be short on your second shot. This is a magic Par three. Club selection is very important. The best side to miss the green is on the right even though the bunker is waiting. A hole that will stay in your memory. A long par 4 with a three level fairway. In the distance there is an orange mark on a tree, aim slightly right of this. Plan your approach to the left side of the green; deep bunkers right can be expensive. This is a medium length Par four with a slight dog leg to the right. The green is narrow and careful club selection is required. Straight forward par five, steer clear of the bunkers and you will have a good chance at a birdie. Important to place your drive to the left of the fairway or you could be down tasting grapes in the vineyard. There is a water hazard to the left of the green so be aware. This is challenging par three and the bunkers make club selection difficult so choose your club carefully. The green is a relatively large target however if you aim too far away from the pin, putting could be difficult. This is a test of golf. Drive the ball to the left of the bunkers. The approach shot is over a water hazard. If you don't think you can make it aim at the left side of the green, there is a hail out area short and left of the green. Club selection on this par three is very important. It definitely plays longer than the distance on the card. Don't he short or the ball will roll back down the hill and leave you with a difficult approach shot. Aim for the centre of the fairway with your drive. Avoid the cross bunkers on your second shot. Your approach shot is best played from the side of the green. Straight away par four. Beware of the cross bunkers. For the long hitters watch out for the hazard on the next fairway with your drive (on the right), under the right conditions you can easily reach the green for one. Hit your tee shot to the left of the middle bunker. Beware long hitters, you only need to hit the fairway (lay up). There is a water hazard approximately forty metres short of the green. A tough finishing hole that could easily ruin a good score. A long straight drive is a good start, especially off the back tees. Plan your approach shot to be under the hole as the green runs very fast downhill. Designed by Graham Marsh and Ross Watson, Horizons golf course is a par 72, 18 hole world class championship golf course, there are four tees in total - championship, members, resort and ladies. 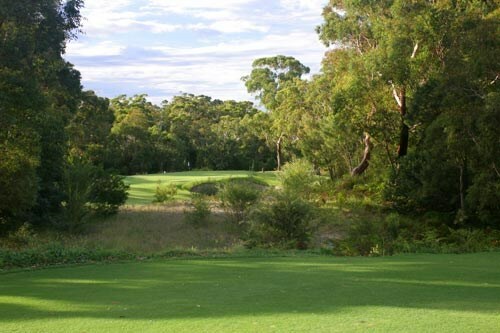 Surrounded by natural bushland, the course is 6,187 metres from the back tees, with four par threes, ten par fours and four par five. It offers challenges and rewards for players of all standards, who also enjoy the abundance of wildlife. 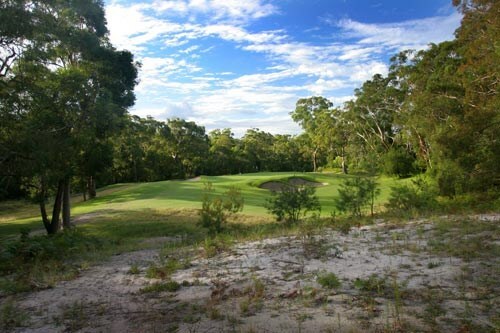 This challenging course is located minutes from the crystal clear waters of Port Stephens. Designed by Graham Marsh and Ross Watson, Horizons golf course is a par 72, 18 hole world class championship golf course, there are four tees in total - championship, members, resort and ladies. 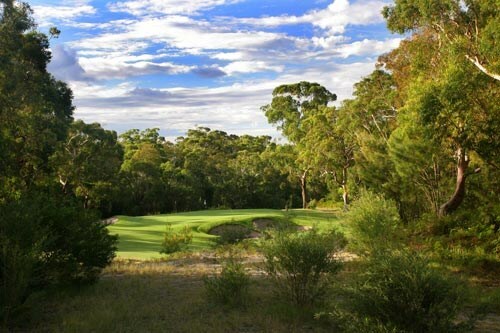 Surrounded by natural bushland, the course is 6,187 metres from the back tees, with four par threes, ten par fours and four par five. It offers challenges and rewards for players of all standards, who also enjoy the abundance of wildlife. 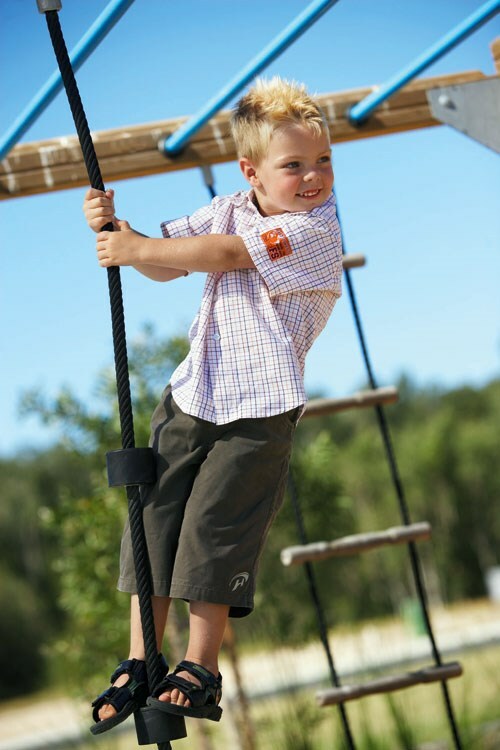 This challenging course is located minutes from the crystal clear waters of Port Stephens. A straight away hole with elevated green, bunkers on the left 161 metres off the white plates, 151 metres off the red. The second shot is deceiving - the green is 45m long so take at least one extra club in calm conditions. The green slopes from back to front. A bogey is not a bad start. Dangers: O-O-B left of the fairway. A slight dog-leg left with bunkers on the left 180 metres off the white plates, 169 metres off the reds. All the trouble is right on your second shot - the place to miss it is long and left. The green is cut in two by a ridge on the left running from front to back. Dangers: O-O-B left, lateral water hazard right. A slight dog-leg left with a large mound tempting the longer hitters. Beware of the pot bunker short of the mound 180 metres off the white plates, 148 metres off the red. The bunker on the right is 195 metres off the white plates, 172 metres off the reds. The green is guarded by bunkers short left - a ridge runs across this two-tiered green. Dangers: O-O-B left. A slight dog-leg right with bunkers on the right 171 metres off the white plates, 158 metres off the reds. The play for your second is to lay up short and left of the bunker on the right to give you a good look at the green. The bunker is 10 metres short of the green so trust your distance. Large green with two tiers. Dangers: Lateral water hazards all the way left and right of the green. A slight dog-leg left with bunkers on the left 119 metres off the white plates, 105 metres off the reds - bunkers on the right are 164 metres off the white tees, 150 metres off the reds. The green slopes towards the water. Three wood or long iron off the tee is the play. Dangers: water on the left, lateral hazard over the back. What you see is what you get! A straight forward Par 3 with a two-tiered green. You could need at least two extra clubs into the wind so beware. Dangers: water on the left, lateral hazard on the right. A slight dog-leg right with a long bunker on the left 206 metres off the white plates, 190 metres off the reds. The green has two-tiers - the best place to miss is short left. Make a Par here and your friends will remember you forever. Dangers: O-O-B left, lateral hazard right. A deceiving hole...the bunker in front is 10 metres short of the putting surface, the green has two relatively flat-tiers. Don't be left - don't be right - don't be long. If you hit to the left of the red pole take a point of entry drop, hit right of the pole and a reload is your best option. Dangers: O-O-B left, lateral hazard right and behind. A straight away hole with a bunker on the left 186 metres off the white plates, 168 metres off the reds...and on the right 218 metres off the white plates, 200 metres off the reds. Greens don't get much bigger than this guy. The target is somewhat unique - four tiers meet the player, a two putt here and move to the next tee! Dangers: O-O-B & water left. A Sharp dog-leg left - ample room to the right off the tee. Bunker on the left 175 metres off the white plates, 124 metres off the red. Always go an extra club for your second shot in calm conditions - the green is very long from front to back. Dangers: water left off the tee, lateral hazard right. A Slight dog-leg right, bunker on the right 175 metres off the white plates, 145 metres off the red. Again, go an extra club for your second in calm conditions - Beware of the valley of doom! All putts on the green slope to the water. Dangers: water left, lateral hazard right. Great Par 5. A Double dog-leg left then right, bunker on the left 188 metres off the white plates, 184 metres off the red. Lay up for your second if in doubt - fairway tightens noticeably 100 metres out from the green. Dangers: Out-of-bounds (O-O-B) skirts the cart path left, lateral hazard right. A long green with numerous bunkers short left and right characterise this great hole. Long and left is the desired place to miss the green - a relatively flat green. Dangers: Left of the cart path is lateral hazard, steep bunkers to the right of the green you don't want to be in. All the best! Dog-leg right - bunker on left 177 metres off the white plates, 123 metres off the reds. Tee shot here is crucial - the hole tightens 200 metres from the tee - a tee shot to the right blocks you out for your second - tee shot left leaves you with a long iron out of the bunkers. A large sloping green awaits you. Like we said ' All the Best'. Dangers: lateral hazard left and right, water left of the green. A two-tiered elevated green guarded by a huge bunker on the left. If you make three from in there, 'go play golf for a living'! Always go an extra club in calm conditions. A relatively flat green. Dangers: Steep face on bunkers left. 'Last chance to make your first birdie'. A slight dog-leg left with the first bunker on left 176 metres off the white plates, 159 metres off the red. Two options for your second - lay up on the upper level 150 from the green or go for the green and risk meeting the green-side bunkers. The target is a generous two-tiered double green with the 10th hole. Dangers: Lateral water hazard left and right. A Slight dog-leg left - dual fairway with centre bunkers 175 metres off the white plates, 155 metres off the red. Tiger line is at the left fairway bunker with a draw - safe play is to the right of the bunkers leaving you a good look at the green. Dangers: Lateral water hazard left, water over the back of the green. Get your flippers and snorkel ready! A straight forward short hole with copious amounts of water. From the tee it offers a generous landing area, bunkers on the left 156 metres off the white plates, 146 metres off the red. Second shot is crucial - your ball feeds right once on the green if you're not already in the soup. The green has three tiers - all putts break towards the water. Dangers: water right, O-O-B left. 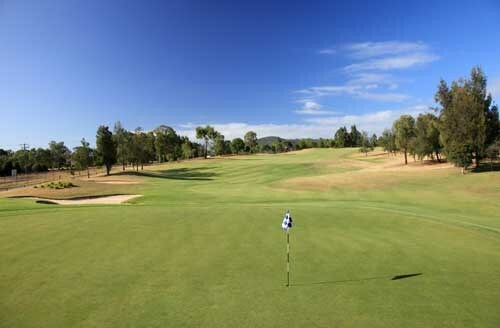 Hunter Valley Golf and Country Club is located amongst the picturesque vineyards of Lovedale and Pokolbin. The impressive new layout, with it's idyllic lagoons, will certainly challenge golfers of all levels. 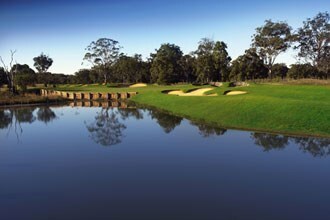 The course surrounds the grand Crowne Plaza Hunter Valley. A relatively short and simple hole that requires accuracy from the tee to the green. A lake running across the front of the tee will test you right from the start. An open fairway rewards a clean strike leaving only a short iron to this undulating green. With bunkers guarding the front and water surrounding the back, distance control is of utmost importance. A tight dogleg to the left, a good tee shot here will leave you in good shape to attack this hole. A short approach will be left to a very large open green that has little protecting it. A great scoring opportunity. An accurate tee shot here is well rewarded with a good chance at birdie. Bunkers guarding the right hand side provide the only trouble on this short hole. A fantastic green for making putts as there is very undulation. A beautiful but challenging par 3. Water carry from tee to green means an accurate mid to long must be played. Some players may choose to bail out on the right and leave themselves a chip and a putt to save par. A picturesque hole that can add up big numbers. One of the toughest holes on the course. This par 4 is long and tight with out of bounds down the left. A good tee shot that avoids the fairway bunkers will still leave a long to mid iron approach shot. A fairly forgiving green awaits and there is always a good chance of making the par. A demanding water carry tee shot highlights this medium length par 4. After negotiating the water and the fairway bunkers to the left and right you are left with a relatively easy second shot. An undulating green makes putting difficult so be cautious to where you position your approach. An exciting hole! This is a demanding hole with water running down the left and cutting across the front of the green. An accurate tee shot to the right side of the fairway is the best spot to approach a well guarded green. Be long to be safe. A very long par 3 with bunkers guarding front left and right. Pay attention to pin position on this hole to assist with club selection as a back position will most definitely require an extra club. A well struck shot to the centre of the green will again be rewarded. A long flat green is the home for makeable putts. With water running across the fairway some players may choose a fairway wood or iron off this tee. A genuine three shot hole, an approach to the right will leave you the best options for attacking the pin. The large double green features a great amount of undulation so be sure to stay on the top tier to give yourself a birdie chance. A mid length par 3 with water running down the right hand side. The large green slopes from left to right towards the water. Some players may choose to bail out to the left to leave a chip and putt for par. Do your best to make 3 and move to the next. A tricky par 4 that shapes hard from left to right. Brave players will be able to take on the dogleg with a driver but beware of the trouble on the right. The safest option is to lay up short of the fairway bunker with a mid iron. A greenside bunker and undulating green makes this a tougher hole than it looks. A straight but tight par 4. A hazard running down the right catches loose drives so a fairway wood or iron off the tee for accuracy is a smart play. A good tee shot will leave a straight forward second shot to a large flat green that is only guarded by a pond to the back left. The first hole of the vineyard stretch is a brute. A long par 4 with out of bounds running down the right from tee to green. Tee shot to the left sets up a long to mid iron to a narrow well protected green. A tough second shot with a creek to the left and bunkers to the right. Be careful of the wind direction out in the open here as accuracy is a must. A dam to the left of the tee forces you to play out to the right of this long dogleg par 5. Big hitters may try to cut the corner as much as possible to setup a chance of reaching this green in two. Laying up is a good option though as water protects the back right corner. Green slopes from back to front so leave it under the hole for a good birdie opportunity. This hole is the last out in the open vineyards. A shorter par 4 with water protecting the left hand side. An open fairway awaits to the right so a good tee shot here is not to difficult. A small undulating green means a precise pitch is needed to have the easiest putt on this rolling green. A perfect gun barrel par 5 with tall casuarinas down the left and right. A good tee shot here will allow you a number of different options for your second shot. Bigger hitters who go for the green need to stay left to avoid the bunkers on the right. Putting is a challenge on this small undulating green. This great par 3 punishes any shot that misses the green. Bunkers surrounding the left side and grassy hollows on the right make it difficult to save par. There is also a water hazard awaiting any shots long so be careful with club selection. Once you find this tricky green putts can be made. A long tough finishing par 4. A tee shot to the left is needed to open up the dogleg right and have a chance at a clear shot to the green. Water on the right will catch any errant drives. A difficult second shot awaits as bunkers and hollows surround the lower tier of the double green. A challenging way to finish the round. 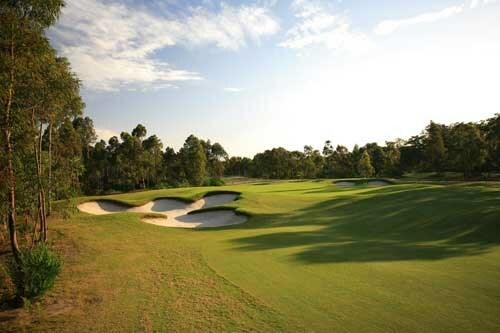 Kooindah Waters is located only 90 minutes north of the Sydney CBD on the stunning Central Coast of NSW Wales and is the first collaboration between leading professional Craig Parry and respected course designer Ross Watson. A component of a luxurious Residential Golf & Spa Resort and surrounding the first-class Clubhouse, is the 18-hole layout is dominated by the spectacular existing wetlands with the course designed to interact with the natural water features and flora. Divided into three distinct character precincts, the course has been designed to be a “thinking golfer’s course” where accuracy, ball placement and imagination will be the keys to scoring well. Sleeper retaining walls and bunkering are used to provide a “rustic” feel with a feature of the layout being the island green on the par 3, 17th hole. A short walk of 60 to 70 metres from the Pro Shop passing the putting green on the way brings the golfer to the opening shot, the 10th tee is another 15 metres or so further on. The first is a solid opening hole playing in a southerly direction. Wetlands lurk on the right, however the fairway width is quite generous and pars should be readily achievable, a comfortable opening hole. Quite a challenging par 3 over wetlands but a large green and plenty of "bail out" to the left will keep the field moving which is so important at this stage of the game. Good players will be keen to attack this hole but must be careful not to "leak" to the right where wetlands await. A reasonably strong par 4 requiring a well struck tee shot preferably with right to left shape, long hitters may well run out of fairway without the right shape. The green is guarded on the right by a pond which also doubles as the irrigation pond. Approach shots directed to the left centre of the green with a slight "fade" will reap the best results. Pars here will be well earned. The feature of this hole is a large undulating green. The green is very open to the left and heavily bunkered on the right and the tendency will be to favour the left, but from here chipping and long range putting will be complicated by the undulations of the putting surface. This hole will be somewhat of a "sleeper", that is, looks easy enough but too often bogies will be scored. This hole will prove to be a very sporting Par 5. The key for many players being whether to "lay-up" or "fly" the watercourse crossing with their second shots. A lay-up will certainly put greater emphasis on the approach shot to a rather small green which angles abruptly to the left. Certainly long hitters will be hopeful of reaching the green in two and putting for an eagle. Although short this Par 3 hole will be no pushover. A shallow green places emphasis on distance control. The surrounds to the green will be quite complicated making for some interesting "up and down" recovery golf. A natural feel to this golf hole set in amongst the eucalypts creating a wonderful setting for what will be a very memorable hole. A nice little Par 4 where most players will have a chance for a par. Good players will be hoping for a birdie, a nice drive left of centre with a little fade, followed by a crisp wedge and hopefully hole a short putt for a three will be the aim. This is a definite two shotter for long hitters but the second shot must be precise, any slightly miss hit approach shot may well cause a blowout in the score. This is certainly a good example of risk and reward golf. For the average player a par should be readily achievable provided the third shot to the green is played with steady nerves. With a watery grave in front and bunkers at the rear of the green distance control will be paramount. The key to this hole is a well struck drive anywhere on the fairway but the closer to the wetland on the right the easier the approach shot across the wetland. 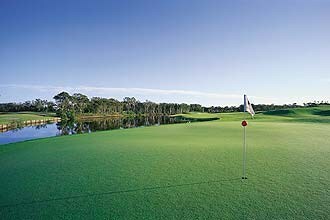 Some players after a short or poor drive will be forced to lay-up with their second shots setting up a short pitch over the wetland for their third shot. This hole is fraught with danger and in a "make or break" situation (given that for many players this may well be their final hole) will produce some exciting golf. There is plenty of room off the tee, particularly to the left, which allows a little latitude to those golfers commencing their round on this hole. A large fairway bunker in the driving zone on the right will come to the attention of long hitters. 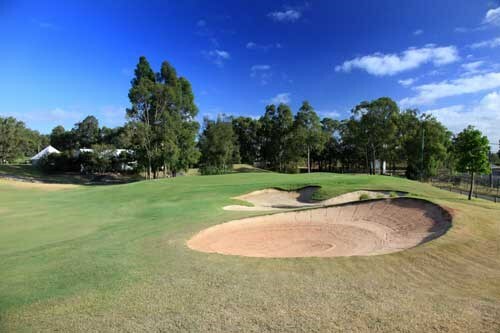 A long drive which flirts with this bunker will set up a chance for a crack at the green with their second shot, albeit a very dangerous shot with out-of-bounds on the right and bunkers and wetland to the left. But for some the temptation will be too great. For most, a par five will be well earned here. For good players a controlled 3 metal from the tee will be the best play, left side of the fairway will give the best angle of approach using a 7 or 8 iron. Good average players will take a driver from the tee and again play the left side of the fairway. A bunker 15 metres short of the green will then come into consideration as it must be carried to reach the putting surface in regulation, add two putts for a solid par and off to the next tee well satisfied. This is the longest Par 3 on the course and will present a very stern test even for low markers. The green is guarded on the left by wetlands and a bunker however there is ample bailout to the right. The green is large and heavily contoured making chip and putt pars a difficult proposition. For a good player, depending on the wind direction, setting up next to the danger on the left and working the ball to the right is one option, or a nice draw shot which bounces forward using the contours of the green is another. This could well be a pivotal hole in championship play. Another challenging hole requiring a well placed strong drive if par is to be threatened. The second shot, which for many players could be a mid to longish iron, must carry the wetland immediately in front of the green. The average player may well play this as a short par 5 taking three shots to reach the green. A beautiful little Par 4, framed by a melaleuca wetland on the left and a mature forest along the right boundary. The green is also framed with large trees in the backdrop. The big boys will have a crack at the green with their tee shot, but if misdirected, a high score may eventuate. This hole is full of temptation even for a medium player. Keep a cool head and pars and birdies will readily be achievable, conversely a triple bogie is just as likely. This is easily the longest Par 5 at Kooindah Waters and except for the very very long players this will play as a genuine three "shotter". Being a double dogleg the ability to shape the ball both ways will come into calculation, particularly on the second shot where there are at least four realistic options as well as the all-out option to be on in two. For the medium player par is not improbable but very controlled and intelligent play will be necessary. This hole will certainly expose any weaknesses either physical or mental. A straight-ish, medium to strong Par 4. The most notable feature of this hole is the wetland on the left extending from the tee to beyond. A good drive and a bunker separates the driving zone from the adjacent wetland. A strong drive which flirts with the fairway bunker will set-up the best angle of approach for a mid iron second shot to a green heavily bunkered on the right. A formidable Par 4. Although short, the island green virtually surrounded by wetland will put fear into most mortals. For duffers, a lay-up fairway on the left will provide some relief. Wind will definitely be a factor in the playing of this very heroic hole. All sorts of scores from a hole-in-one to double figures can be expected at anytime even from good players. Commitment and steady nerves are prime ingredients for success here. By any standards this is a very long Par 4 fraught with danger from the tee through to the green. From the tee good players will be tempted to take-on the wetland skirting up the left in order to shorten their second shot. Two deep fairway bunkers lurk on the right at 240 to 250 metres out waiting to catch a slightly "leaked" drive. After a solid drive up the middle a 3 or 4 iron will be needed and ideally it will be a controlled fade which works off the wetland flanking the green on the left. Average players will be well advised to treat this as a short par 5 and with sensible play bogies should be readily achievable. A very memorable finishing hole. 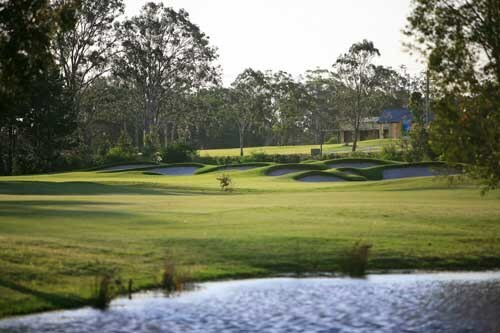 The Magenta Shores Golf course was created by acclaimed golf architect Ross Watson and was recently rated the best Resort Course in NSW and 6th best Resort Course in Australia. 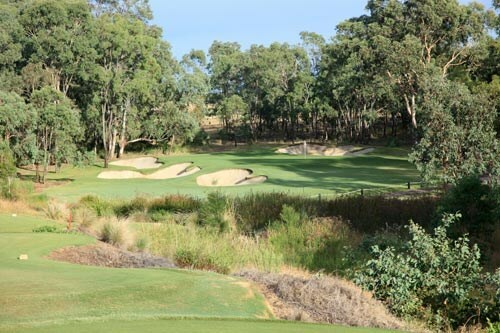 As the first links-style golf course on the Central Coast of NSW, Course designer Ross Watson believes this is one of his best course designs and sites he's ever worked on and is confident that Magenta Shores Golf & Country Club will eventually be rated in the top 20 golf courses in Australia. 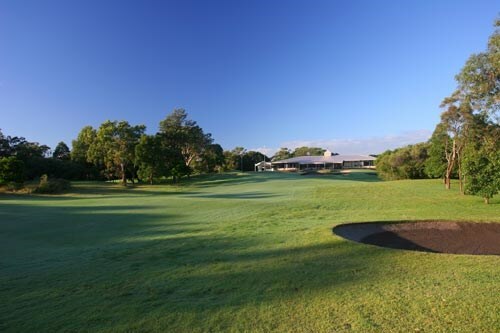 The 18-hole championship golf course boasts an ideal sand base and is superbly located on the shores of the Pacific Ocean and Tuggerah Lakes. The course itself weaves its way through various coastal landscapes including links- style dunes, rainforests and native forests, ensuring that golfers of all levels will enjoy the course. With a prime beach-front position, this stunning 18-hole championship golf course is complemented by a first-class purpose built club house and the luxurious 5-star resort, Quay West Resort Magenta Shores. 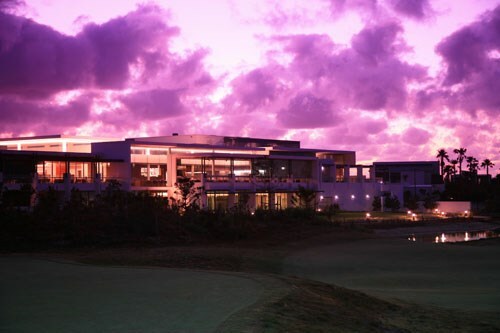 As the first private golf club on the Central Coast, Magenta Shores Golf & Country Club can only be played by members and their accompanied guests, Quay West Resort guests or through a group golf booking. Membership is only available to Residents of the property, with a limited number of non-residential memberships being made available. Club members are offered a range of exclusive privileges, with the exclusivity of the course being a key benefit to membership. Members have access to club magenta, which offers 5-star resort facilities including swimming pools, tennis courts, day spa, restaurants and gym. Joining fees start from $7,000 for an Individual membership, with the annual fee of $2,200, which provides full 7-day playing rights with the use of an electric golf cart. Family and Corporate membership categories are also available. This luxurious five star resort has everything you could ever want including a magnificent beachfront position, world class restaurant, 18 hole championship golf course and stand alone Day Spa. The resort offers luxuriously appointed studio guestrooms and 1, 2 and 3 bedroom open-plan villas with views of the golf course, lagoon style resort pool or coastal gardens as well as private courtyards or balconies, air-conditioning, fully equipped kitchen and laundry and all the creature comforts of a five star resort. Take advantage of a range of recreational facilities on offer including two tennis courts (one floodlit), indoor heated lap pool, lagoon style swimming pool, steam room, fully equipped gymnasium and cycle-ways. This is a challenging tee shot with water on the left; the bunker on the right comes into play at the 240m mark. The ball will feed back tothe centre from the right side of the fairway. Your line should be left of the large fairway bunker on the right. On the left side of the fairway the bunker comes into play at 240m. Lay up to the left side of the fairway to give yourself the best approach to a difficult green. This is a long Par 4 with a narrow tee shot that generally plays downwind which makes the hole play a little easier. It has a well bunkered green with a slight slope from back to front. This is a difficult Par 3 that requires a well struck long iron, well bunkered ont he right hand side with a reasonably flat green. This is a short Par 4 - get past the bunker on the left and this hole plays a lot easier. A short dog leg left Par 4, long hitters may be able to drive this green downwind with a good bounce. Otherwise a second shot will be to a large flat green. A standard Par 3 that is well bunkered. It has shallow bunkers on the left and a large deep bunker on the right. A Par 5 that begins with an elevated tee shot, the bunkers come into play for the long hitters. Your lay up second shot should be on the left fro the best approach to the green. This is the hardest hole on the course. It is an extremely long hole that generally plays into the wind. Your approach shot is to a split level green with a false front. A Par 5 with a narrow tee shot, the bunker comes into play on the right. Most of the bunkers are within 100m of the green. You may find that laying up will give you the best chance of making birdie. This short Par 4 gives the player a couple of options. Option 1 is to play safe to the right of the fairway bunker. Option 2 would be to play aggressively over the left hand trap that will leave a second shot of less than 100m. A medium length Par 3 that is well bunkered on both the left and right. This is a challenging Par 4 with a narrow fairway. If you catch the slope at 220m the ball will roll a further 40m. Short of the green to the right there is a lot of bunkering. A difficult Par 4 that requires a well placed tee shot. Run out on the right is 240m. The second shot is downhill and there is a lot of trouble behind the back of the green. This short Par 3 is very exposed to the elements. It is well bunkered onthe left and right and anything short right will leave a very difficult chip. A long Par 4 that generally plays into the wind. The bunkers come into play onthe right for the long hitters, shorter hitters need to be accurate in avoiding the bunkers that align down the middle. Your second shot is to a reasonably flat green. A dog leg left Par 4. Long hitters line will be over the bunkers on the left. The second shot is to a reasonably flat green with a deep bunker short left and a large slope falling off the right hand side of the green. And finally a Par 5 to finish your round. It has a wide fairway with bunkers coming into play. Bunker carry on the left is 230m. Your best option for your second shot is to lay up short of the fairway bunkers to leave a short iron approach to a large green. Newcastle Golf Club is a true championship course based on undulating sand dunes like those of the great historic links of Great Britain and Ireland. 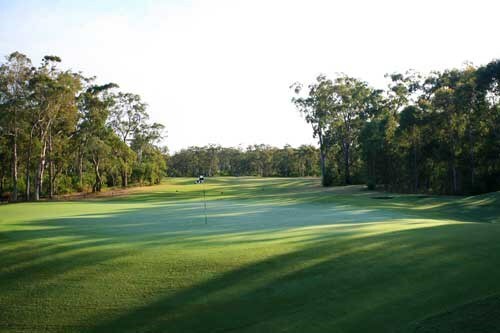 However, instead of fairways lined by gorse and heather, Newcastle is carved out of a forest of Eucalypts and angophoras abounding in native flora and fauna, including kookaburras, bearded dragons and kangaroos, making it a delightful as well as a challenging course to play. 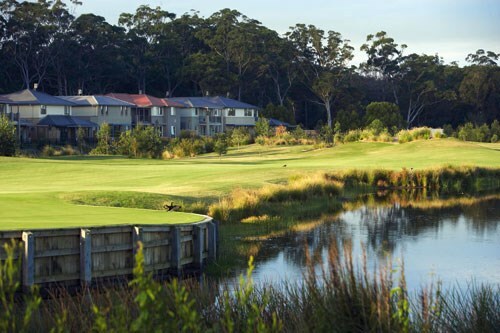 Located at the mouth of the Hunter River, two hour's drive from Sydney, Newcastle is one of only two courses in NSW given international recognition by the panel of experts rating the World's Top 100 Courses. A few years ago it was included as an "International Honourable Mention" by GOLF Magazine in their ratings of the world's best golf courses and only not rated higher because not enough panellists had made the trek to play the course. 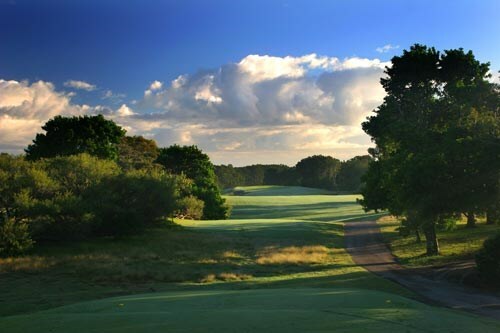 Golf Australia magazine ranks Newcastle as number 10 in Australia ahead of some of the more widely recognised courses in Australia - a further testament to the quality of this course. A true championship course of 6160 metres (6800 yards), it is based on undulating sand dunes like those of the great historic links of Great Britain and Ireland. 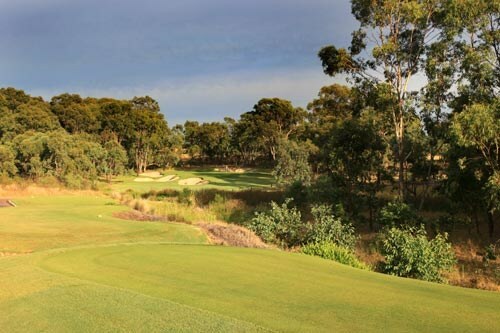 However, instead of fairways lined by gorse and heather, Newcastle is carved out of a forest of Eucalypts and angophoras abounding in native flora and fauna, including kookaburras, bearded dragons and kangaroos, making it a delightful as well as a challenging course to play. 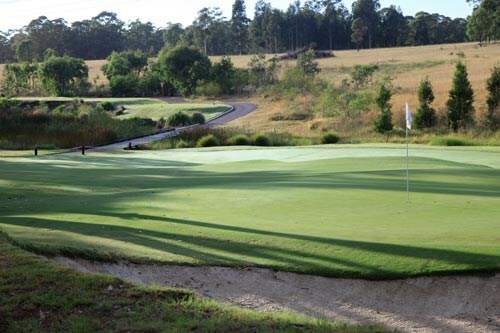 Although the course is situated only a few kilometres from the busy industrial city and port of Newcastle, the wide bands of trees separating the fairways give a feeling of peaceful isolation from the cares of the world. This is a nice opening tee shot, driver all the way here, however the hitting area gets narrower the longer you drive from the tee. A drive towards the right hand centre will give you the safest line as the fairway slopes right to left. The approach shot is to an elevated green, sloping back to front, with two levels. If unsure of club selection, short is better than long. Be cautious of the deep greenside bunkers left and right. Semi-blind tee shot, driver is the club selection. Aim at the flagpole and you will be in the centre of the fairway. This is a fairly wide fairway with a good amount of room to the right. Too far right brings bunkers into play. Aim for the middle of the green, as it is surrounded by treacherous bunkers. The green has many subtle borrows and should be carefully looked at. A very tough par 3 requiring an accurate shot to a well bunkered green. A 3 wood or low lofted hybrid is the sensible play. Any shot going wide left or right will make your chances of getting up and down for par more difficult. Driver again from this tee. Aiming down middle/left of fairway will see your tee shot finish in the perfect position. From here the toughest part of the next shot is the club selection. Laying up just short of the hill is your best option for a flat lie. Third shot is with a short iron, keeping your ball below the pin as this green can become quite slick. This is by far one of the tougher holes on the layout. This requires an accurate tee shot towards the right centre of the fairway as it feeds down to the left. The telegraph pole in the distance is the line for this shot. You need no more than a 3 wood or low lofted hybrid. Your second shot then becomes the challenge as club selection can become difficult. This is a fairly flat green but treacherous once missed, particularly if you miss left! The aim for this hole is to position your tee shot towards the left centre of the fairway, as it will feed right. From here choose your club carefully as most players fall short on distance to this well elevated green. The side to miss this green is towards the left, as it too feeds to the right. Club selection is the key to this hole as it is downhill from an elevated tee. Once you have chosen your club then just hit it. Indecision brings most unstuck here. Short left is the only area to miss this green. Going long is not a place to hit it. A tee shot positioned towards the left side of the fairway will ensure a good chance of an attacking second with a short iron. As with a lot of holes at Newcastle avoid going long. If you are unsure of club selection for approach shot take a shorter club. The tee shot needs to be towards the left side to avoid the right-side fairway bunker. Your second shot will need to be a fairway wood or hybrid to lay-up and leave you with a flat lie. Your uphill approach with a short iron needs to be under the hole. Avoid going long left or right here as this leaves a downhill recovery shot. A crucial tee shot to start your back nine. Take a 3 wood or low lofted hybrid to either reach the hill or go just over. Second shot with a fairway wood or hybrid, down left side, leaves you short of the final hill. Third shot is blind to a green fronted on both sides by difficult bunkers. Make sure you take enough club to reach the middle of the green. Driver down left side gives best angle of approach to the green. Second shot with a short iron avoiding the front bunkers. Accuracy is the key as you definitely don?t want to be long. This par three can bring many unstuck. The green slopes from right to left, making the tee shot critical. Placing your ball on the left hand side of the pin will give you an uphill putt. Missing the green to the right leaves a very difficult second shot. Driver from the tee, aiming at the left fairway bunkers in the distance, gives the best position for your second shot. Laying-up short of fairway bunkers leaves a short iron approach to an undulating green. When the pin is cut in the rear left, the centre of the green will give the best results. A demanding driving hole that requires a well positioned drive for an approach to a relatively open green. The tee shot is best played to the left centre of the fairway to give you an unobstructed view of the green. An approach shot left short of the pin will give you the best result. Another demanding par 4 where the tee shot is vital. Aim straight over the middle of the Ladies tee. Positioning towards the left centre will give the best approach to the green and all pin spots. Tricky green requires careful reading from back and side. Demanding par 3 where only real trouble is large bunker on right side of green. Green can become very firm and may require a shot landing short or just on front edge. An accurate tee shot down the left side is a must here. A small drain on the right hand side of the fairway is easily reachable from the tee. Uphill second shot to an elevated green often requires more club than first thought. Approach must be spot on as green is very fast with treacherous slope from back to front. Missing the green long here is not an option. The tee shot here is driver, to position the ball on the top of the hill. Second shot is crucial as this is a tricky green sloping from back to front. An approach shot short of the pin will give you the best result. Pacific Dunes combines two distinct nine-hole loops to create a spectacular 18-hole championship layout. The layout allows golfers to experience two very different styles of play on the one course. Designed by highly regarded course architect, James Wilcher, the layout uses strategic placement of bunkers and water hazards to create a golf course that is extremely playable to the average golfer, whilst still challenging to low handicappers. In addition to being surrounded by some of the east coast's most enticing scenery, Pacific Dunes' natural sandy base and rolling topography, combined with temperate, year-round golfing weather, create the perfect setting for a course to suit all golfers to a tee. 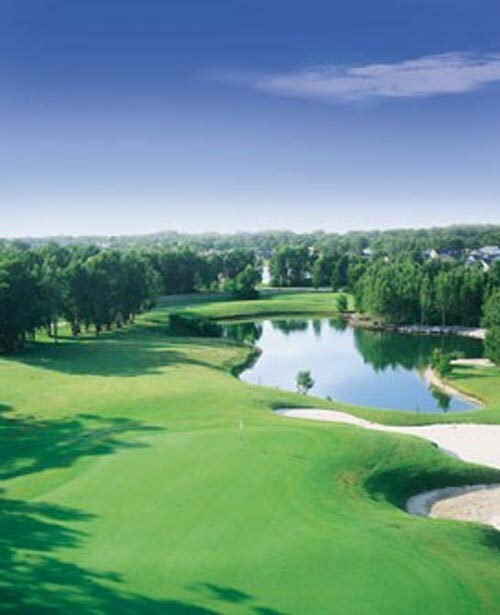 Winding through the natural undulations of the site, the international standard championship course comprises two distinct nine-holes.The back nine is interwoven among natural lakes and wetlands, while the outward nine meanders through shady Angophoras and Swamp Mahogany trees, an extension of the natural landscape. Both nines play to a par of 36 with the typical championship configuration incorporating two par fives and two par threes on each nine. You won't be able to blame the wind on an off day, with the layout designed to ensure there's no predominant hole orientation, regardless of wind direction. Thoughtful and tactical design delivers a pleasurable round for everyone, regardless of handicap. Careful consideration of hazard placement, reduced potential for water carries and the integration of teeing options coupled with generous fairway widths make it a course with varying degrees of difficulty for every level of golfer. The course, incorporating a driving range and a practice green, feature premium Santa Ana fairway turf surfaces and Bent grass greens. Conveniently adjacent to the eighteenth green is the elegant Golf Villa (interim clubhouse), designed by Philip Cox at the heart of the casual, relaxed lifestyle of Pacific Dunes. Ideally located next to the eighteenth green and in close proximity to the 1st and 10th tees, with panoramic views across the water, the course and the surrounding bushland, the Golf Villa is the perfect place to relax with friends. The Golf Villa provides a high standard of services ranging from drinks in the bar, casual dining to a fully stocked Golf Shop. The first is a testing par four, owing more to its setting than its length. A winding creek poses trouble from the tee on this opening hole. It snakes along the right-hand side of the hole before cutting across the fairway and trailing off into the left-hand rough. However, the fairway is generous in its width, and there is ample room to land your tee shot. A good drive will set up a real opportunity of making a three, as the second requires only short iron over the creek to a large relatively flat double green (shared with the par three 5th). The second holes character is noticeably different from the first. The wide open expanses so obvious when entering the golf course and when playing hole 1 disappear as you move into the more heavily wooded the next eight holes are still exposed to the elements and will prove to be quite testing. At 374 metres sheltered part of the site. Don't be fooled though as the second is a mid-length par four demanding both length and accuracy. The hole dog-legs to the right with a large fairway bunker guarding the inside of the turn which should be avoided at all costs. A mid-iron is required to a slightly raised green which is angled left to right across the line of play and which is therefore more easily attacked from the right hand side of the fairway. This is a tricky little par four which is perhaps the designers favourite. The hole itself requires a sound strategy from tee to green if par or better is to be made. The clever manipulation of contours and the shrewd siting of fairway bunkers combine to make the tee shot look more daunting than it really is. Standing on the tee it is quite difficult to gauge how much fairway you have to aim at. Better players will have to weigh up whether they will use the driver and attack the hole, taking the shortest line over the bunkers on the right, or lay up to the left with a mid to long iron. Taking the latter option, you are left with a difficult pitch to a small, raised green which drops away quickly on all sides. The difficulty in hitting this green is increased by the fact that it has a 'false front' with anything too short rolling back off the green and down to the bottom of a swale, from where a delicate chip shot is required to save par. Played from the most south-westerly corner of the site, this long par five is quite a challenging hole, especially when played into the prevailing north-easterly winds. Bunkers dot the fairway at both the first and second landing areas, placing a premium on accuracy. 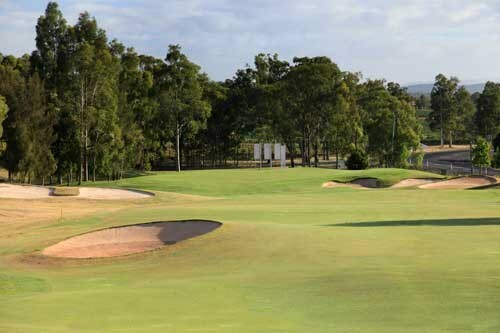 If you can avoid the sand on your first two shots, you are then left with an approach to a picturesque green nestled amongst a natural setting of Banksias and Sydney Blue Gums. However, like the sixteenth, you should not let yourself be distracted by this attractive backdrop, as the hole is certainly no push over. The entrance to the long sloping green is narrow, and is protected by traps to the front right and left. Longer hitters attempting to get home in two will also need to consider the close proximity of the surrounding vegetation, which will punish those who stray too far offline. The fifth is possibly the most difficult par three on the course. This is essentially due to the need to combine length and accuracy from the tee. Any shot short of the large double green (shared with the 1st) may find the water that closely guards the front right portion of the putting surface. Overcompensation for this hazard or through the green you ensure an encounter with one of the strategically placed bunkers. From the sand a golfer is left with a delicate recovery, with the water on the opposite side of the green waiting to swallow up anything played too boldly. By far the longest hole on the layout, this demanding hole requires long precision hitting if it is to be tamed. However, although it stretches out to 555 metres from the championship tees, it does generally play downwind when the prevailing north-easterly is blowing, helping to shorten its length considerably. Therefore a potential birdie is certainly not out of the question. Assuming you get a good drive away the second shot is partially blind, played over a small ridge that bisects the fairway mid-way between the first landing area and the green. If the ridge can be 'flown' and the second shot land on the down slope beyond the benefit of additional run will shorten the hole considerably. The eventual target is a narrow green closely guarded by two small bunkers to the left and one larger bunker to the right. Although it is the longest par four on the course, the seventh is a relatively benign hole that will yield its fair share of birdies if played conservatively from tee to green. The hole doglegs slightly from left to right, with the preferred line of play from the tee down the left-hand side. As you would expect this line is guarded by a lone bunker in the edge of the fairway. If you manage to avoid the sand you are left with the best line into the long green, which is protected by two more bunkers to the right and front left. The green itself is relatively flat, ensuring that if the green is reached birdie is not out of the question. The eighth is an uphill par three that requires a well struck long iron or fairway wood to an enormous green, protected by deep menacing greenside bunkers to the left and short right. However, the vast putting surface does provide an ample target to aim at, and the front of the green has been kept open to allow the ball to be run in for those without the muscle to 'fly' the green. Once reached, a deft touch will be required on the green to avoid three putting if the ball comes to rest a long way from its intended target. 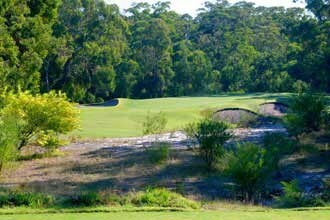 The seventh is an attractive hole, with its large green nestled in an amphitheatre of native trees and shrubs. The ninth hole is a tough par four, which makes for a challenging and memorable finish to the front nine. A huge bunker is strategically located on the inside of the dogleg, tempting longer hitters to take it on in favourable conditions. The bunker should be avoided at all costs though, as their steep faces make a successful recovery a difficult prospect. The second half of the fairway narrows significantly about 90 metres short of the green, before widening back out to reveal a large elongated green framed by two greenside bunkers on the left. The open front of the green accommodates running shots, which will be required by many to get home in two. A par here would indeed be a pleasing result. The tee shot on this short par-4 requires a carry over a winding creek that bisects the fairway approximately 160 metres from the tee. This creek continues up the left-hand side of the hole to the green where it widens out to guard the front of the green. A generous fairway awaits a reasonably struck tee shot from where a deft pitch is need to reach a shallow green hugged by water in front and a copse of trees behind. If attacked, a birdie is a real possibility, which may be the catalyst for a great back nine, however a substantial error could result in a bogey or worse. How much of a gambler are you? The 11th is the first of two par fives on the back nine. Strategy on this hole is dictated by several water hazards of considerable size, the first of which stretches for some 80 odd metres down the left-hand side of the first landing area. Although set back from the fairway, its presence is enough to make you question your line off the tee. A pond on the right-hand side extends into the fairway narrowing the landing area significantly at around the 240-metre mark, placing a premium on accuracy for longer hitters if the green is to be reached in two. Really though, only the very brave would be foolish enough to take on this right side pond. The second shot doglegs slightly to the right, where a lone fairway bunker on the left and water to the right guards the intended landing area. Having avoided the water from the tee, longer hitters will have to weigh up whether they will take the water on again and go for the green in two, or play conservatively and lay up and rely on an accurate pitch or successful long putt for four. The only significant trouble off the tee on this straightaway par four is a small pond on the left-hand side of the fairway which for most is probably too far out to contemplate. Assuming the fairway is found, accuracy is the key on the approach shot if par or better is to be made. At best a mid to long iron will be required to reach a green heavily guarded by hazards, with bunkers short and right and water to the left and rear. However, to favour the shorter hitter the front of the green has been kept open, which provides the opportunity to run the ball onto the green if wind dictates that this is the best option. The thirteenth is a distinctive par 4 which is bordered by water on the right-hand side of the fairway for the entire length of the hole. Although generous in its width, the landing area is protected on the left by a large bunker set into the edge of the fairway. This bunker is cleverly positioned to punish tee shots that have overcompensated in an attempt to avoid the water on the right. Like the twelfth a mid to long iron is required on the approach to a green guarded closely to the right and rear by the ever the present water hazard. Anything left of the green is fraught as two more bunkers guard this side of the green leaving the task of making four particularly onerous. At 161 metres, the fourteenth is a shortish par three which needs a well struck mid-iron to reach he green. A high degree of precision is required from the tee to avoid the surrounding bunkers, the most menacing of which guards the entire left edge of the green. As one of the largest bunkers on the course, this huge expanse of sand can be particularly intimidating from the tee, especially if the pin is cut behind it in the rear left portion of the green. Also the length of the green means that club selection can vary significantly depending on where the pin is cut, and this decision can be made more difficult if the wind happens to be blowing from the north-east, which it typically does. Par here will be a rewarding score. Orientated northward, the fifteenth is a medium-length par four yet it's the open nature leaves it exposed to the prevailing winds from the northeast, which on certain days can lengthen it considerably. Accuracy from the tee is a prerequisite as the drive leaves a narrow avenue of trees with the landing area guarded by water to the left and sand on the right. Once these hazards have been successfully negotiated, you are then left with an approach to a demanding green set at the base of a hill. Par here, is a real possibly and would set up a storming finish to the round. The back tees for this hole are elevated, which affords the golfer a great view of the fairway that snakes its way between two large lakes. Negotiating these lakes can be a gruelling challenge, especially if crosswinds are blowing. The second-half of the fairway doglegs left to a green nestled amongst a group of majestic angophoras, which pose like a natural cathedral in the afternoon light. But don't be fooled by the beauty of this setting, as precision is required when playing the approach if a four is to be made. The green drops away quickly on all sides into rolling swales, ensuring that if the green is missed on approach, you will be left with a delicate up and down for par. To add to its difficulty the green is also protected by bunkers to the front right and left, set back from the green to catch any short misdirected approaches. At 200 metres from the back markers, the par three seventeenth is a stern test of golf. Angled slightly right to left across the line of play the huge green has an open front and is shaped to accommodate running approach shots, which in all likelihood will be required by many to reach the putting surface from the tee. If the green is reached in one shot, par is not guaranteed as the sheer size of the green means that three putting is a real possibility. Bunkers right and left combined with some ever-present water, combined with the length of the tee shot and huge putting surface ensures that a three on this hole will be either well earned or otherwise lucky. 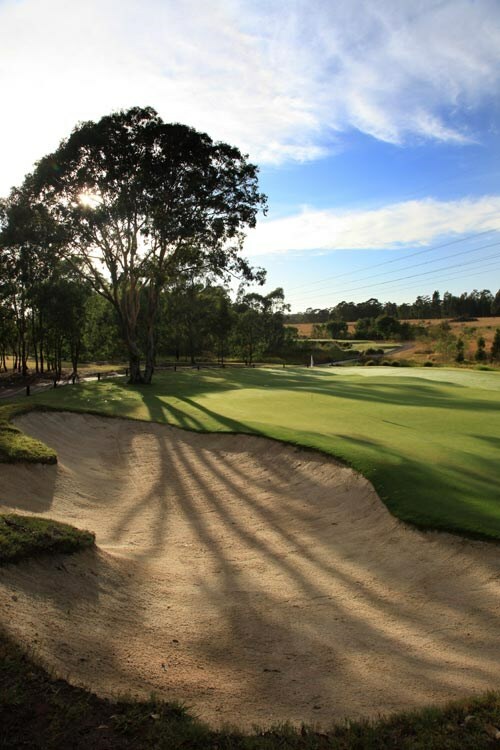 At just a tick under five hundred metres, the eighteenth is a golfing gamblers delight but also a testing par five to close out the round of golf. Water is again a feature on this hole and helps dictate strategy from tee to green. A large elongated lake is situated down the right-hand side of the hole, which is the shorter and therefore preferred line of play. The lake is positioned so as to enforce the dog-leg, and a strong drive flirting with the lake is required if players are to attack the hole in the hope of getting home in two. The hole is made even more difficult by the tall avenue of trees framing the entire left-hand side of the hole. The large lake continues across the front of the green, pinching the fairway into a narrow opening to the left-hand side of the green. This configuration ensures water must be carried if the green is to be hit in two. For those who decide to lay up a deft pitch is required over the edge of the lake to a large undulating green, protected by bunkers to the left and rear. 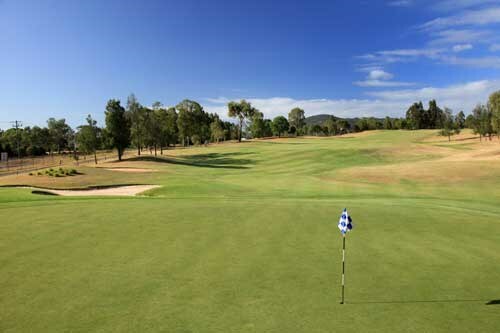 Set against the dramatic backdrop of the Brokenback Range, The Vintage boasts a spectacular 18 hole Greg Norman designed golf course specifically created to complement the area's natural environment and prestigious Hunter Valley lifestyle. 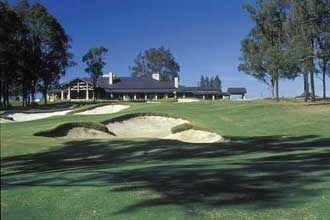 The Vintage Golf Club ranks among the best courses in Australia and is well worth playing for all standards of golfers. 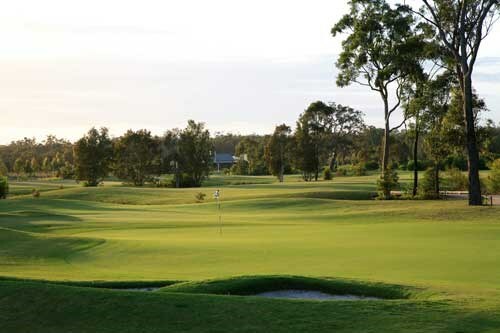 The Vintage Golf Club boasts a truly spectacular 18-hole Greg Norman-designed golf course created specifically to complement the area's unique natural environment and prestigious Hunter Valley lifestyle. Measuring 6,310 metres with a Par of 71, the course gently winds around undisturbed wetlands, water carries, eucalyptus trees, the Beggars Bridge and Bimbadgen vineyards. 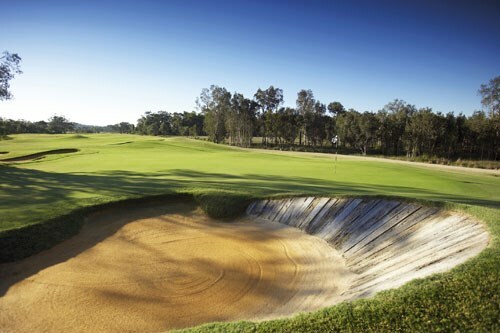 The Vintage is located amid the vineyards of the world-renowned Hunter Valley, only two hours drive north of Sydney and is well worth playing for all standards of golfers. 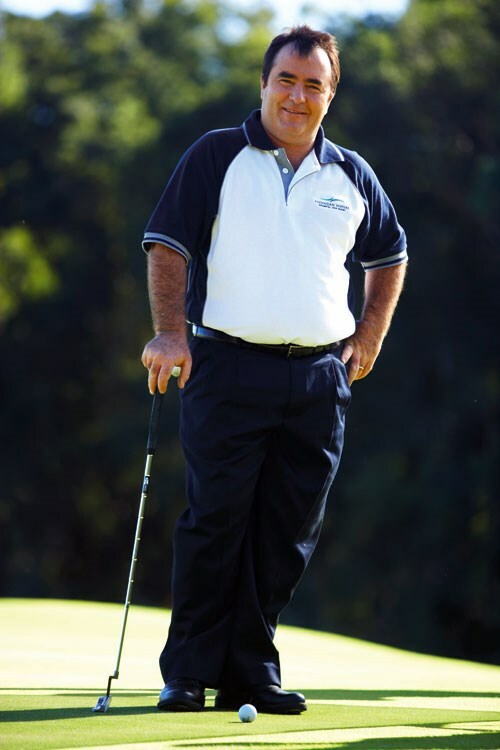 The Richard Mercer Golf Academy at The Vintage Golf Club in the Hunter Valley offers a wide range of golf schools, clinics and development programs for men, women and juniors of all skill levels. 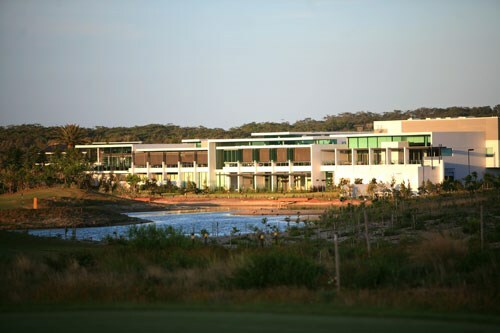 Golf Schools are held at The Vintage Golf Club, featuring an 18-hole Greg Norman-designed golf course which has been ranked among the best golf courses in Australia. Play the opening shot across the lake to a right to left sloping fairway. A drive landing in the middle of the fairway will feed left opening up the green for a short to mid iron. Aim your approach to the centre of the green setting up an easy 2 putt easing yourself into the round. Distance control off the tee is key to this hole, ideally a fairway wood off the tee to the centre of the fairway will open up the green so you can play your approach through the narrow opening of the casuarinas. A short to mid iron to the centre of this small green can set up a birdie opportunity. This is the toughest test on the course. Thread your drive between the fairway bunkers on either side of the fairway leaving yourself a long iron to the green. Keep your approah shot right, as anywhere left of the green will result almost certainly in a bogey. Play your tee shot down the right hand side ideally with a 3 wood. Make sure to stay right as the fairway slopes severely from right to left. The green is surrounded by deep bunkers so make sure of your club selection for the approach shot. The first of The Vintage's world class par 3's. This hole is slightly uphill so keep that in mind as this undulating green is unforgiving for anything short, long,left or right. An elevated tee shot must be played down the left centre of the fairway. From here the hole bends from left to right slightly, with a large sloping green. Make sure of your distance, as anything that lands short will stop and anything long leaves a treacherous up and down. This par 5 gives you the first real chance to give your tee shot everything you've got. The picturesque 2nd shot can be played one of two ways: first pull out the 3 wood and thread the needle between the large bunker and the vineyard or lay up as to leave yourself with a wedge to this 2 tiered green. One of the worlds great par 3's. Water right and bunkers left make this one of the most demanding holes in the country. After choosing your club, stay positive and go for the centre of the green , then take 2 putts and go to the next with a smile on your face. A longish uphill par 4 requires a strong tee shot up the left centre of the fairway. Be sure to keep your approach shot to the right centre of the green as anything left will result in an automatic bogey at best. This long par 5 requires a tee shot down the right hand side. Distance control on the second shot is important. Make sure you get to the bottom of the hill to be certain of a short uphill 3rd shot to this narrow green and watch the bunker on the right hand side of the green as it can be hard to make par from. A drive down the right side taking on the creek provides you with a clear 2nd shot of the green. Anything centre left is safer but will be blocked out by the large mound. This is a large flat green so make sure of your club selection and there is a birdie opportunity. Nothing but wetlands between you and the green but a solid tee shot can set you up with a birdie opportunity on this par 3. Play your tee shot across the wetlands on this short par 4 making sure you hit the centre of the fairway as trouble is everywhere. This is a short 2nd shot, but once again surrounded by trouble. Accuracy will help make a birdie, however anything else can result in a high number. The longer hitters want to hug the right side of the fairway as this will allow them to take on this wonderful par 5. For everyone else stick to the left and lay up short of the creek. Finally play your wedge to the green. A short but interesting par 4. Either lay up short of the bunker on the right or take on the water to allow for a short approach. Be sure to look for the pin position on this green as it can be 3 clubs from the front edge to the back. A drive up the right hand side just inside the bunker line is the ideal position on this par 4. This allows you to open up the green for your approach. Hit your mid iron into the green and try to make birdie on this sloping green. The last of The Vintage's classic par 3's. You must allow for the downhill nature of this hole as it is surrounded by bunkers and wetlands. 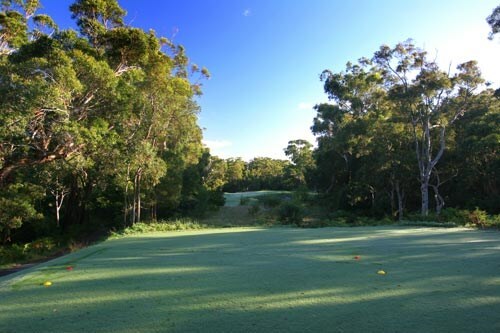 Right side off the tee is the safe option, however be careful of the overhanging eucalypt as it has been known to throw a ball or 2 back across into the water. A strong par 4 to finish your round. Keep your drive to the left side of the fairway as anything right will be blocked out by the large trees short right of the green. On the approach stay away from the bunker on the short left. Play for the centre of the green and this will result in a 2 putt par and make that first drink in the clubhouse all the more enjoyable. 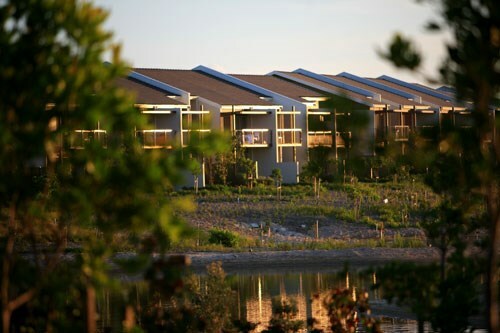 Pullman Magenta Shores Resort is a 5 star Central Coast resort nestled between the pristine waters of the Pacific Ocean and Tuggerah Lake, just 90 minutes north of Sydney on the Central Coast. 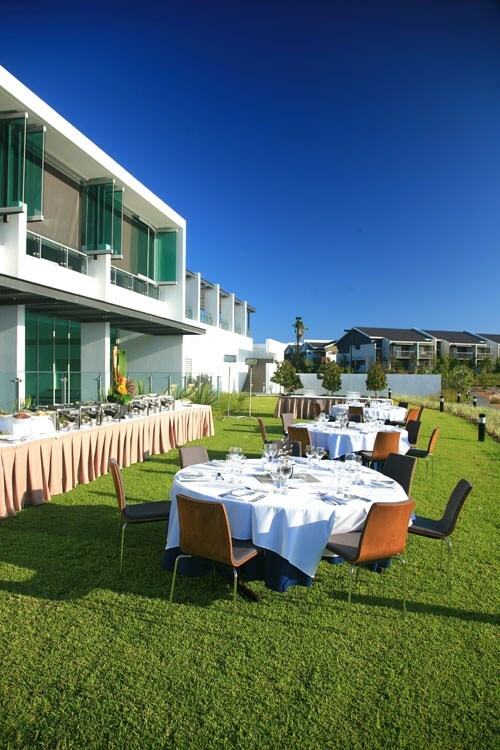 The resort is luxuriously designed and is located just 15kms north of Terrigal. One of the most popular tourist regions in NSW, The Hunter Valley is best known for its wineries, restaurants, accommodation venues and of course golf courses. Less than two hours drive north of Sydney and 45 minutes from Newcastle Airport, the destination is easily accessible. 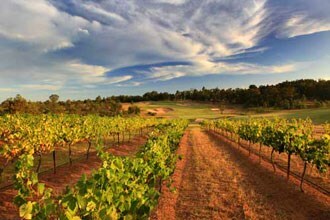 The Hunter Valley is Australia’s oldest wine region – particularly famous for its Semillon wines. 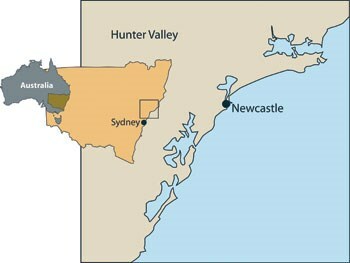 Also North of Sydney and 90 minutes east of the Hunter Valley is the NSW Central Coast which covers the region along the Pacific Ocean from Broken Bay at the mouth of the Hawkesbury River to south of Newcastle. 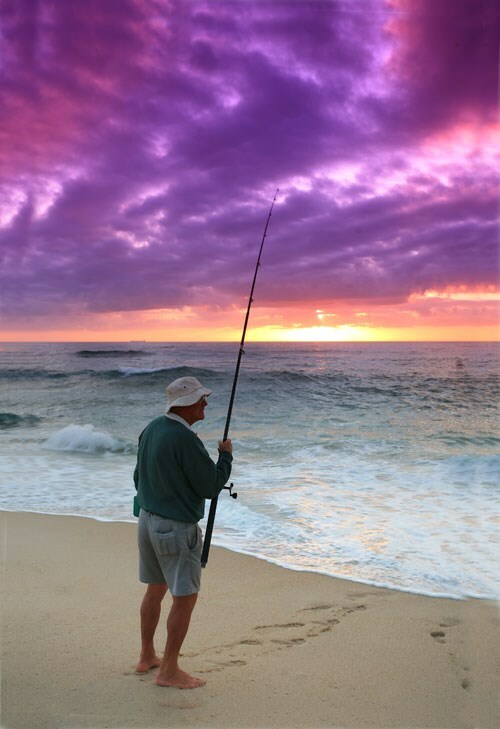 The Central Coast includes a mix of bays and inlets, pristine beaches, lakes and lush hinterland. 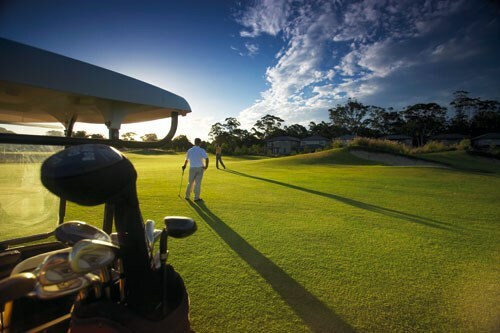 Both the Hunter Valley and the Central Coast have a lot to offer as golfing destinations. 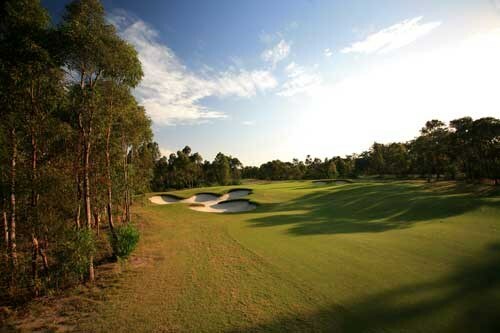 Whilst most of the courses are relatively young, such as The Vintage, Cypress Lakes, Magenta Shores, Pacific Dunes and Kooindah Waters they have attracted signatures from some of Australia’s and The World’s most recognised course designers such as Greg Norman, Craig Parry, Ross Watson, and Bob Stanton. 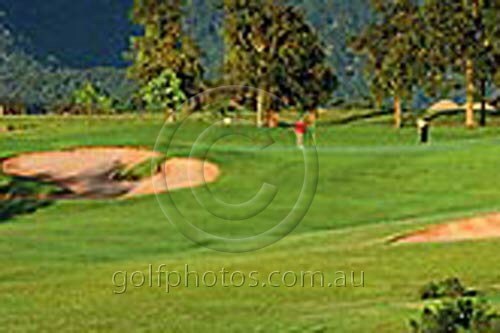 The Vintage Golf Club is a resort-style club found in Rothbury in the Hunter Valley. 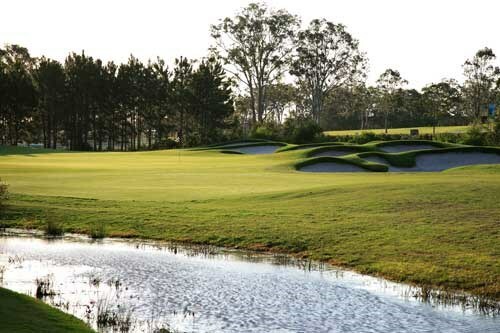 Boasting a truly spectacular 18-hole Greg Norman-designed golf course, The Vintage has been created specifically to complement the area's unique natural environment and prestigious Hunter Valley lifestyle. Measuring 6,310 metres with a Par of 71, the course gently winds around undisturbed wetlands, water carries, eucalyptus trees, the Beggars Bridge and Bimbadgen vineyards. A course that will be enjoyed by golfers of all standards. 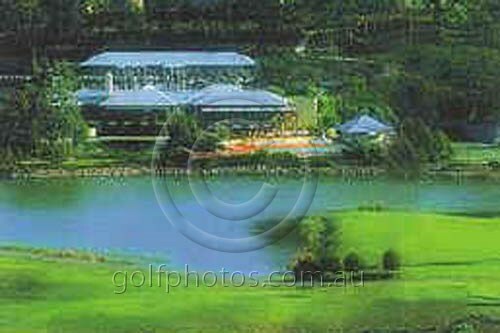 Cypress Lakes Resort was completed in 1992 in Pokolbin, Hunter Valley. 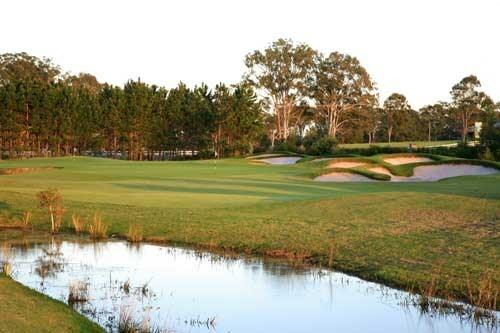 Built in the highest hills in the lower Hunter Valley, with spectacular views over the surrounding vineyards, Cypress Lakes is the centrepiece of this area, and offers an 18-hole, par 72 Championship course (6359 metres). 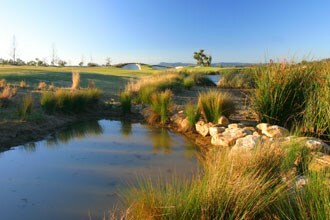 Designed by American golf course designer Steve Smyers in conjunction with Australian Golfing legend Bob Stanton, the course boasts distinct styles, with the first nine holes built around the hills and valleys overlooking surrounding vineyards and the second nine holes are built on lower plains in the traditional links style. 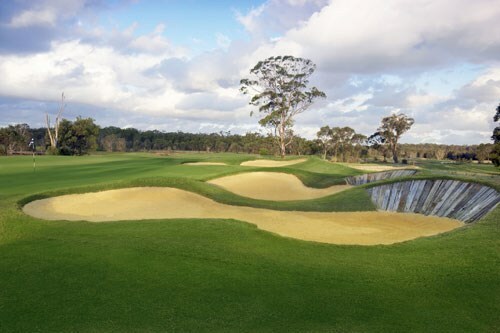 Cypress Lakes has one of Australia's longest par five holes (573 metres) a unique dual fairway hole and one of the only holes in Australia where you have to tee off straight over a vineyard. 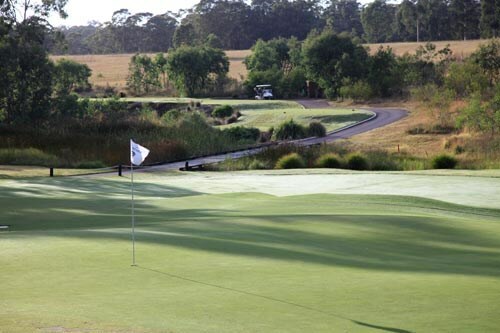 Also located in Pokolbin, the Hunter Valley Golf and Country Club is the youngest golf club in the Hunter Valley. Set out amongst the picturesque vineyards of Lovedale and Pokolbin, the impressive new layout, with its idyllic lagoons, will certainly challenge golfers of all levels. 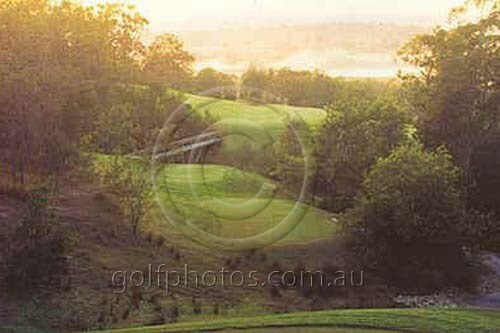 The course surrounds the grand Crowne Plaza Hunter Valley. 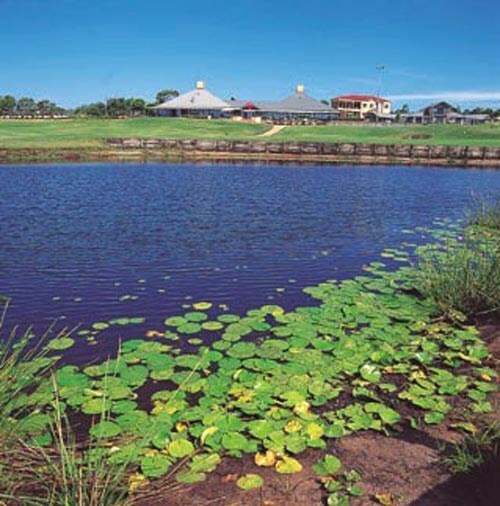 Travelling east of the Hunter Valley and located at the mouth of the Hunter River is Newcastle and the Newcastle Golf Club (ranked 15 in Australia’s Top 100 courses). 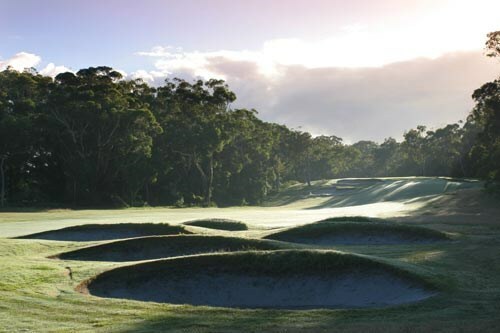 This superb championship golf club is one of only two courses in NSW given international recognition by the panel of experts rating the World's Top 100 Courses. A few years ago it was included as an "International Honourable Mention" by GOLF Magazine in their ratings of the world's best golf courses and only missed a higher rating because not enough panellists had made the trek to play the course. 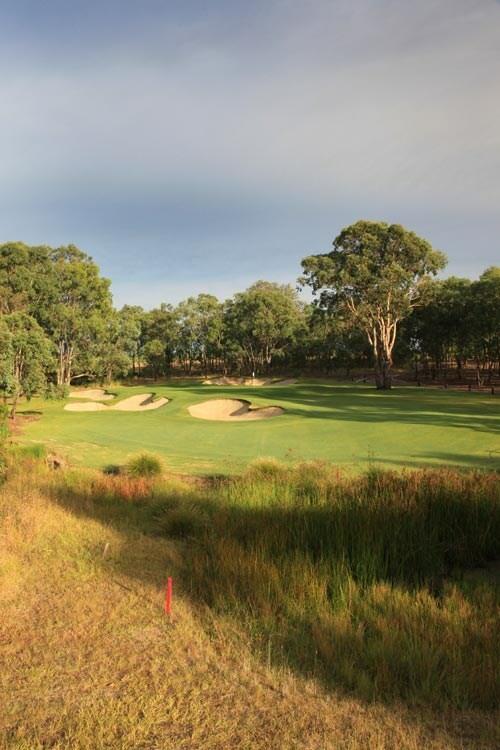 A true championship course of 6160 metres (6800 yards), it comprises undulating sand dunes and fairways carved out of a forest of Eucalypts and angophoras. 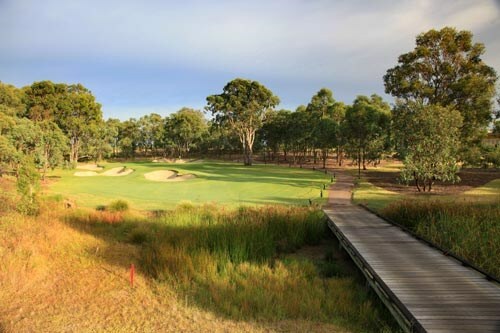 The native flora and fauna, including kookaburras, bearded dragons and kangaroos, make it a delightful as well as a challenging course to play. 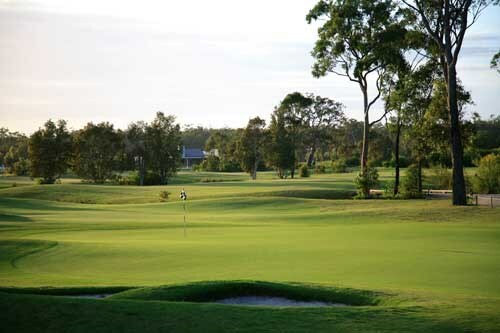 The golf course at Magenta Shores Golf and Country Club was created by acclaimed golf architect Ross Watson in 2006 and was recently rated the best Resort Course in NSW and the 6th best Resort course in Australia. A fair achievement for such a young course. 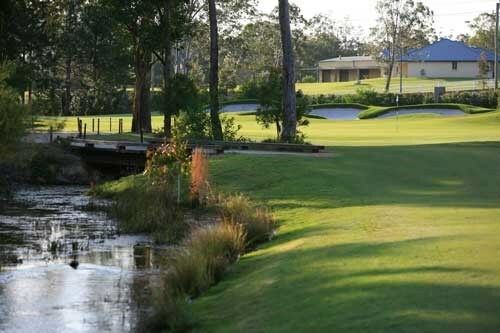 The 18-hole championship golf course boasts an ideal sand base and is superbly located on the shores of the Pacific Ocean and Tuggerah Lakes. The course itself weaves its way through various coastal landscapes including links- style dunes, rainforests and native forests, ensuring that golfers of all levels will enjoy the course. 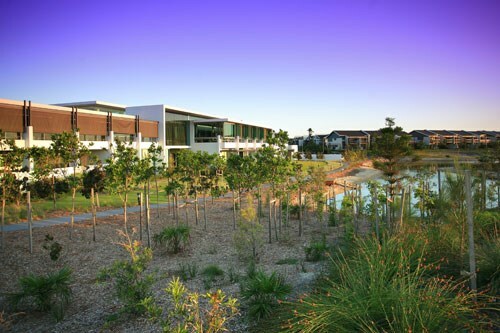 Like Magenta Shores, Kooindah Waters Residential Golf and Spa Resort opened in 2006, and was also designed by Ross Watson, this time in conjunction with Australian golf legend Craig Parry. Located on the Central Coast, this 18-hole layout is a component of a luxurious Residential Golf & Spa Resort and features a first-class Clubhouse. The layout is dominated by the spectacular existing wetlands with the course designed to interact with the natural water features and flora. Divided into three distinct character precincts, the course is a “thinking golfer’s course” where accuracy, ball placement and imagination are the keys to scoring well. Sleeper retaining walls and bunkering are used to provide a “rustic” feel with a feature of the layout being the island green on the par 3, 17th hole. 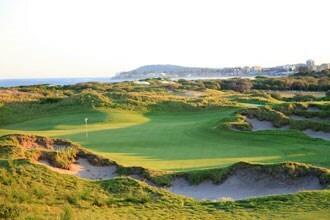 Pacific Dunes is located in Port Stephens – an area surrounded by some of the east coast's most enticing scenery. Pacific Dunes' natural sandy base and rolling topography, combined with temperate, year-round golfing weather, create the perfect setting for a course to suit all golfers to a tee. Winding through the natural undulations of the site, the international standard championship course comprises two distinct nine-holes. The back nine is interwoven among natural lakes and wetlands, while the outward nine meanders through shady Angophoras and Swamp Mahogany trees, an extension of the natural landscape. Both nines play to a par of 36 with the typical championship configuration incorporating two par fives and two par threes on each nine. Thoughtful and tactical design delivers a pleasurable round for everyone, regardless of handicap. Le Meilleur Horizons Golf Resort opened in December 1992. 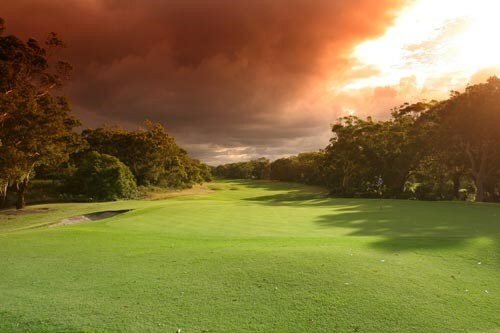 Since its opening, the golf course has achieved an Australian Golf Union (AGU) rating of 74 for its par 72, 18 hole international championship golf course. The scenic layout of the golf course is the result of extensive native revegetation. 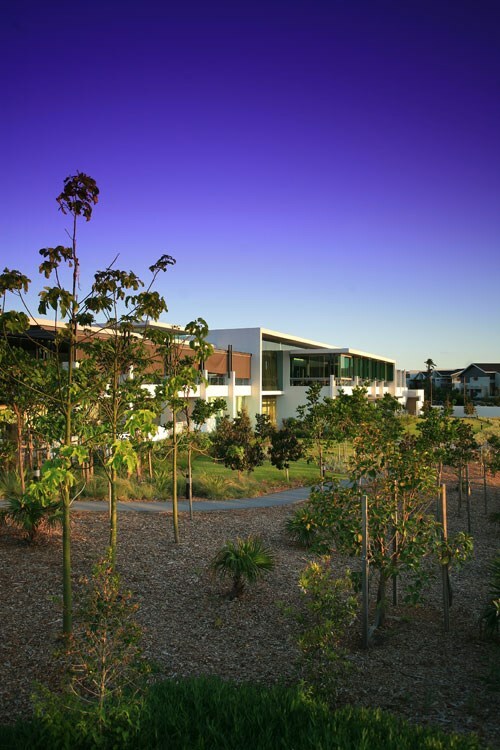 When the course was built, care was taken to preserve the wetlands areas as a sanctuary for native birds and animals. Le Meilleur Horizons continues to follow an environmentally friendly and sustainable policy. Le Meilleur Horizons Golf Resort provides leisure, accommodation and dining services to guests and visitors to the Resort. Apart from the wineries, the Hunter Valley has a vast array of activities to offer its visitors, such as its historic towns, antique shops, local produce and regional events (e.g. the Lovedale Long Lunch and the Semillon and Seafood and concerts featuring the world’s top musicians). The Hunter region also boasts beautiful art galleries, gardens, bicycle tours & hot air ballooning, there are a myriad of things to do. 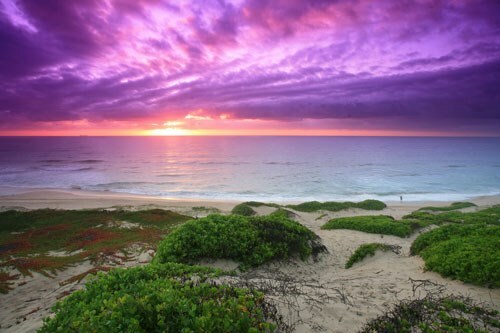 Likewise along the Central Coast, visitors will be overwhelmed with the number of places to visit. Take a dip at Terrigal or Avoca beach, watch the pelican feeding at The Entrance each afternoon, go bushwalking in Bouddi National Park, whale watching between June and November, or sailboarding and kayaking on Tuggerah Lake. Other places to visit include the Australian Reptile Park, Norah Heads Lighthouse, TreeTops Adventure Park, and events include the Central Coast Country Music Festival in March, The Australian Springtime Flora Festival near Gosford in September and the Brisbane Water Oyster Festival at Ettalong Beach in November. Below are some useful facts and figures for the Hunter Valley Region. Use these to work out the best time to visit this region.